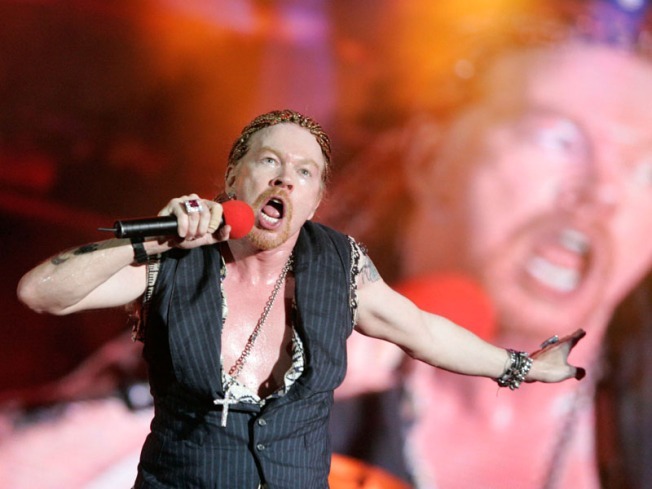 If you were holding out hope that Axl Rose would take the abysmal sales of Chinese Democracy as a hint and make an effort to reunite the classic lineup of Guns N' Roses, we've got some bad news for you. According to an interview conducted by Rose's old friend Del James for Spinner, the singer vehemently insists that he will never revisit the most popular incarnation of the band, and that there is "zero possibility" of him ever working with Slash again, with the exception of it happening "by ambush." Later in the interview, he goes on to suggest that Slash should not have ever been in the band in the first place, and labels the guitarist "a cancer" who is best removed from his life. When asked about Slash's guitar playing, Rose slams his former partner as "a whore for the limelight" who lacks passion and has not pushed himself as an artist since the early nineties. If Slash had even for a moment considered returning to his old band, we're pretty sure that he'll change his mind forever once he gets wind of this interview. Bummer. How Come Nobody Wants to Make Movies in Los Angeles Anymore?